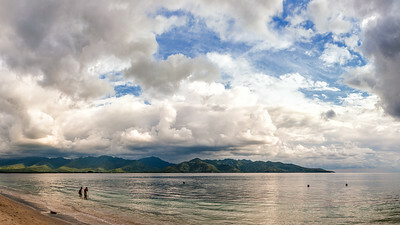 Gili Air and Gili Trawangan, Lombok, Indonesia. 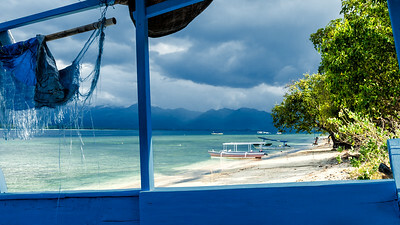 In between lies Gili Meno, the smallest and quietest. 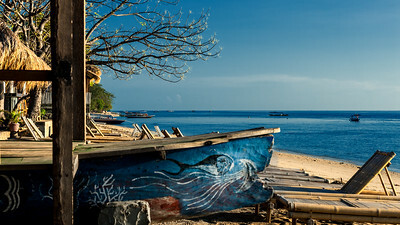 North of Lombok, these 3 small islands are a must-visit when you're doing Bali. 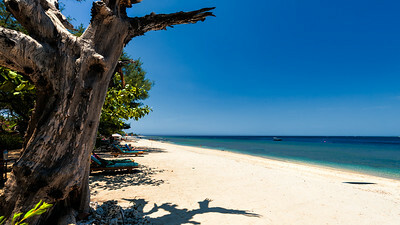 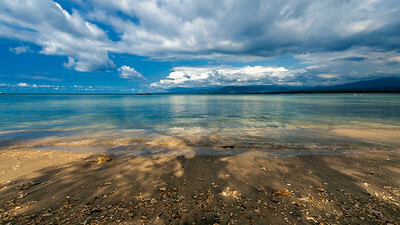 The islands are surrounded with excellent diving and snorkelling spots and have excellent beaches. 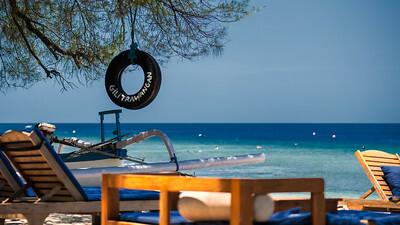 Visit Trawangan for parties, visit Meno for no parties, or Air for anything in between. 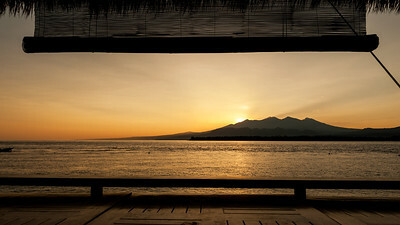 Early in the morning you can see the top of Mt Rinjani on Lombok and if the clouds clear you can see Mt Agung on Bali. 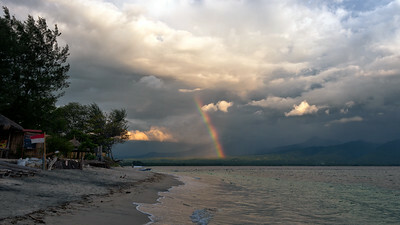 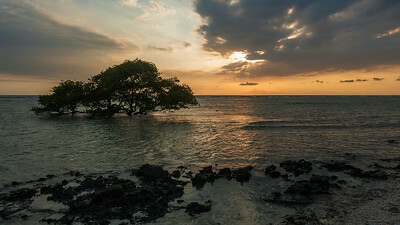 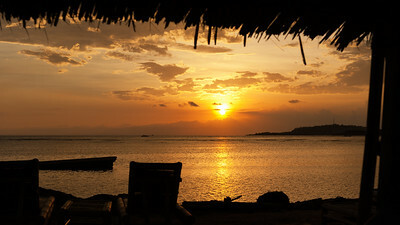 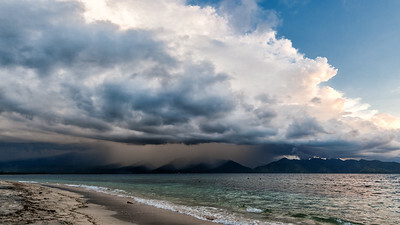 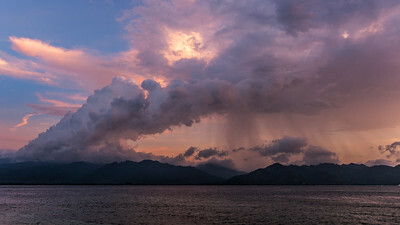 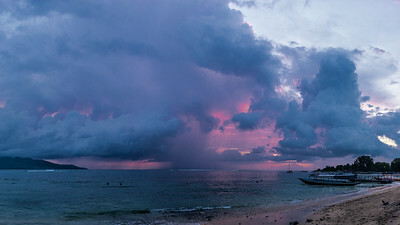 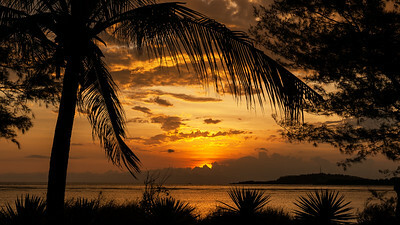 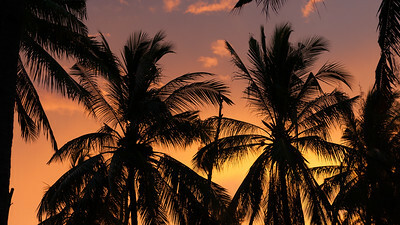 During the daytime often dramatic clouds form on Lombok, sunsets here are often very colourful.